When I do my YouTube videos, I always try to showcase little known bodybuilding exercises. These are exercises that very few people know about, and yet they're extremely effective at targeting specific muscle groups or building overall mass. My viewers always wanted more videos on these hidden gems. Well guess what? 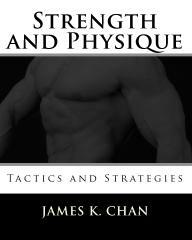 I've compiled these forgotten bodybuilding exercises into a book. 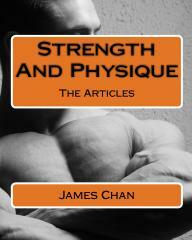 Strength and Physique Volume 5 is now available! All exercises work muscle, but not all exercises BUILD muscle. With over 200 photos, SPV5: High Tension Exercises for Muscular Growth showcases exercises that build muscle and build muscle in all the right places. Many of these esoteric exercises create HIGH MUSCULAR TENSION and can be performed in a home gym with barbells, dumbbells and body weight. How to build MASSIVE MUSCLE over your entire frame. How to refine your musculature and give it the classical V-taper. Why high muscular tension is the primary factor in muscle growth and what exercises produce this high muscular tension. What rep ranges are best for each muscle group. How to manipulate tempo to ignite muscle growth. How to increase your pull-ups for a powerful, wide back. How to forge an armor plated chest. Exercises to hit your musculature at different angles and with different strength curves. 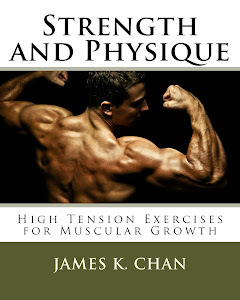 SPV5: High Tension Exercises for Muscular Growth is now available at Amazon.com. 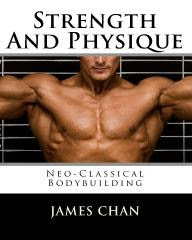 Learn the science of strength and the art of the physique.